The golden, silver and white pearls of Indonesia are famous. If you’re interested in learning about how the oysters that produce these pearls are bred, give this farm a visit. The staff is always eager to demonstrate what they know and will go through the whole process of human intervention, the birth of the pearl and the making of it into a jewel. There’s also an exhibit upstairs on some of the most beautiful pearls ever created by human hands in Bali. The visit is almost always highly educational. This place also doubles as a standard jewellery shop, so make sure to check out the treasures on display. How popular is Atlas Pearl Farm? 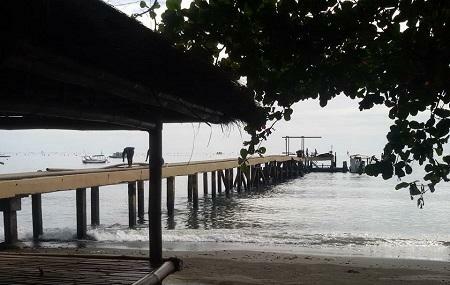 People normally club together Pulaki Temple and Medewi Beach while planning their visit to Atlas Pearl Farm. I agree that it's a chill atmosphere. Cool looking lab stuff, and the informative video made me feel at ease. I wasn't expecting the operation. Curious. They have a video explaining the process of pearl farming. At the end they show you how to implant a nucleus inside an oister. The entrance is free. They have a nice showroom where you can buy some jewelry, no pressure. You can find cheaper places to buy pearls in Pemuteran. A perfect place to learn real pearls and purchase original pearls. The pearls are shiny, beautiful. So lovely.